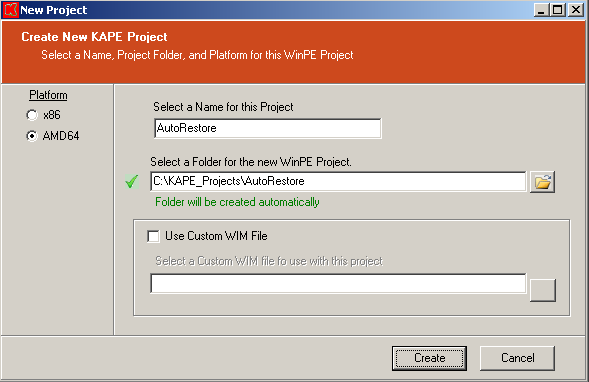 With the release of WinPE 2.x, Microsoft introduced a new method of distributing WinPE, namely using pre-built Wim files included with the Windows Automated Installation Kit (WAIK). 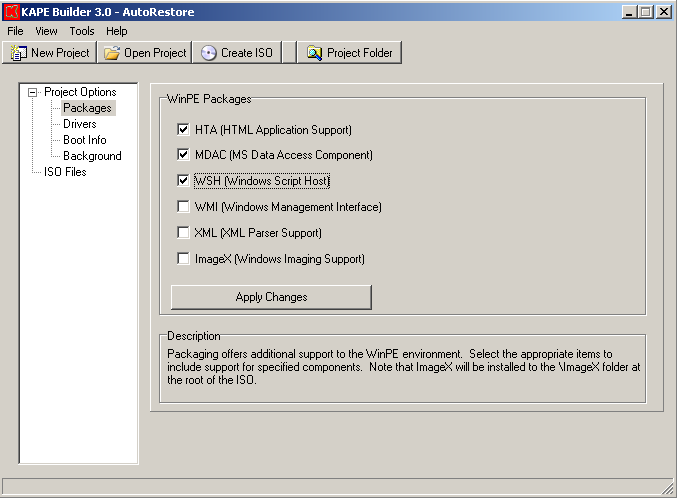 In order to build a new WinPE environment with this method the user must typically utilize a set of command line utilities and scripts from the WAIK, which can often be an arduous or confusing process to manage. 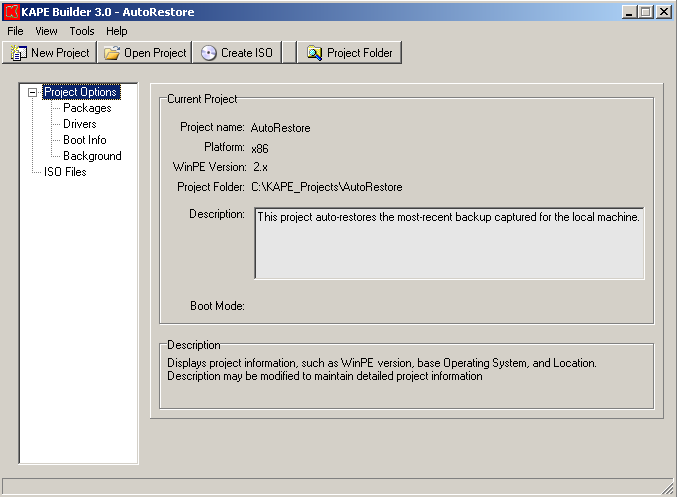 KAPE was created to simplify this process, starting with the origination of the WinPE project through the creation of the final WinPE ISO. 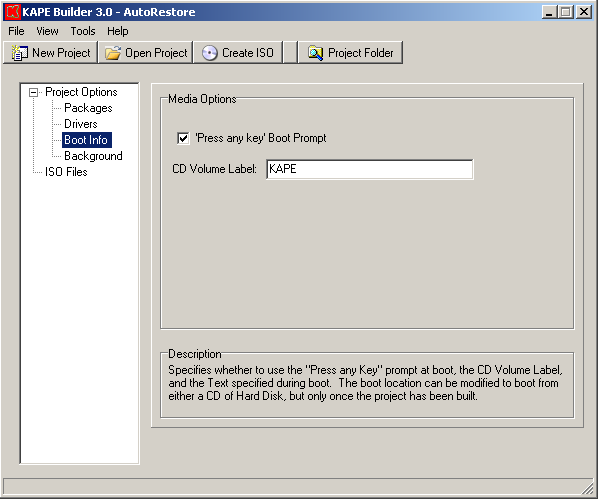 KAPE supports operating under all Windows operating systems starting with Windows XP. 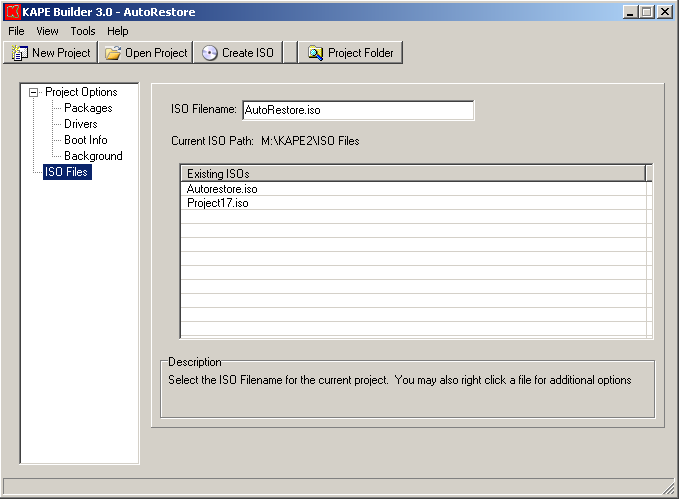 All versions of the Windows AIK are supported, including Windows Vista/2008 and Windows 7 versions. 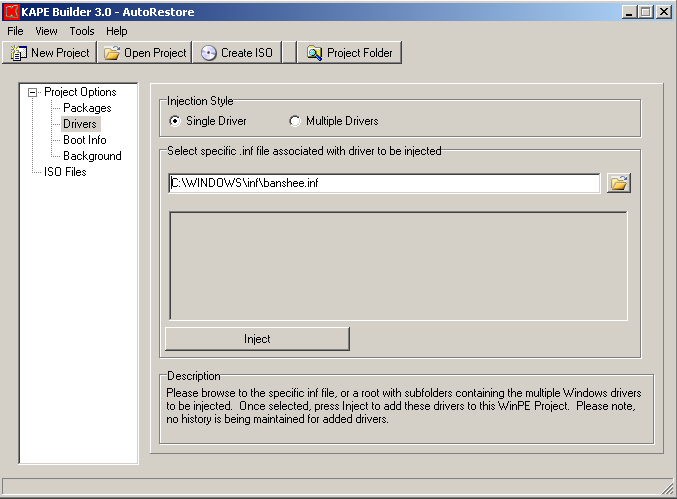 KAPE provides for the creation of a new WinPE project, enables automatic mounting/unmounting of .wim files, and includes functionality such as injecting Windows drivers and modifying the installed WinPE packages. Please see the reference tab for details.